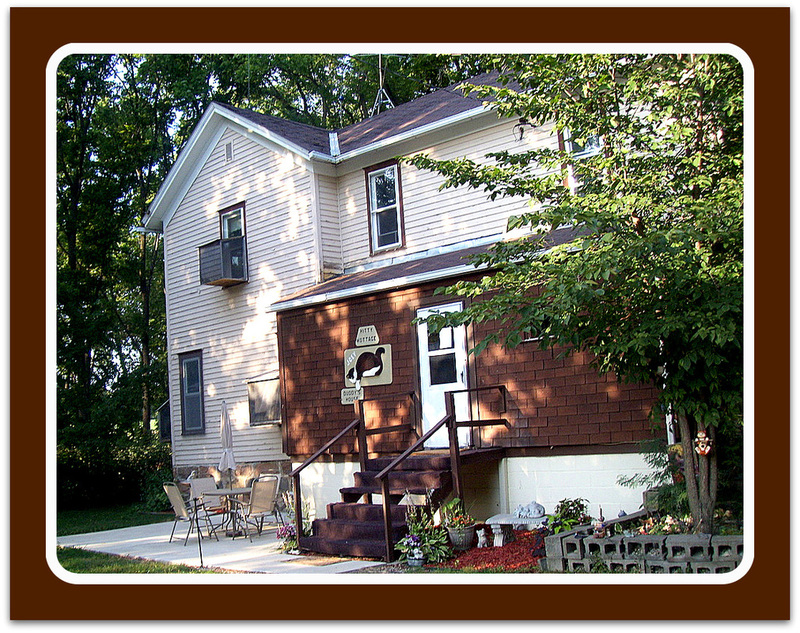 C&W Rustic Hollow has grown from the original Kat Barn in 1985 to six facilities housing up to 340 felines (and two resident dogs!). 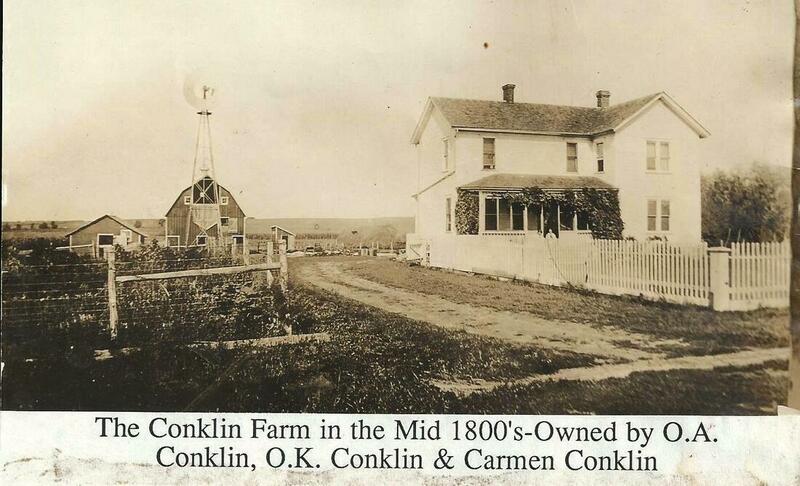 Here you will find photos and info on the different buildings. 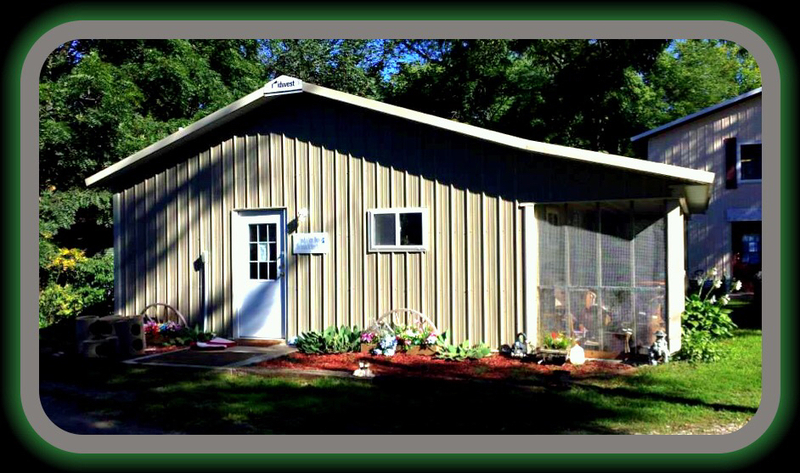 The shelter is located on 90 acres of (shelter owned) land near Nashua, Iowa. 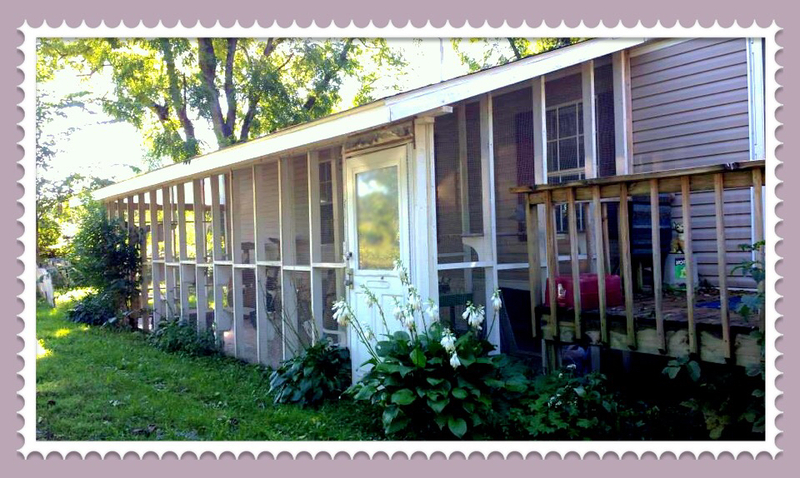 THE RUSTIC INNE﻿ where co-founders Carmen and Wanda live has always had and continues to house about 25-30 of the the more senior kitizens, those with special medical needs - or ones just needing some extra loving! 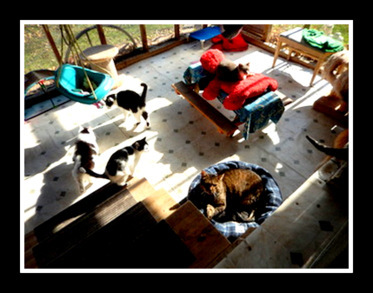 THE KAT BARN was the first building on the property to be converted for use by our feline guests. When it was flooded in 2016, a complete remodeling was needed. 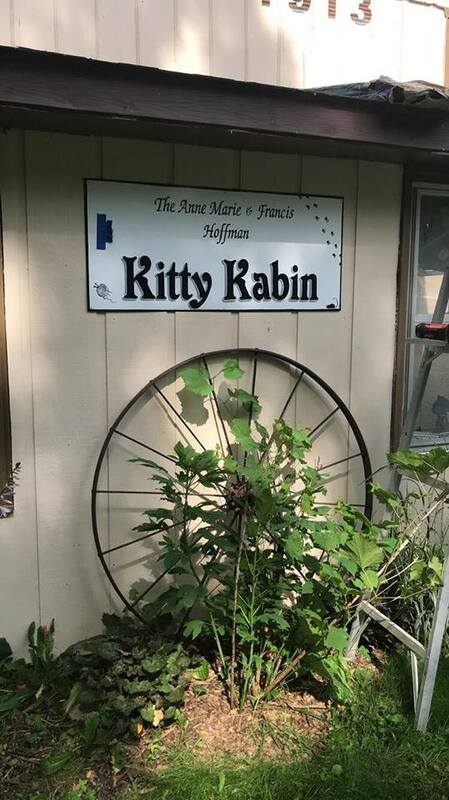 Thanks to grants and a gift from an estate, the building was named The Anne Marie & Francis Hoffman Kitty Kabin. 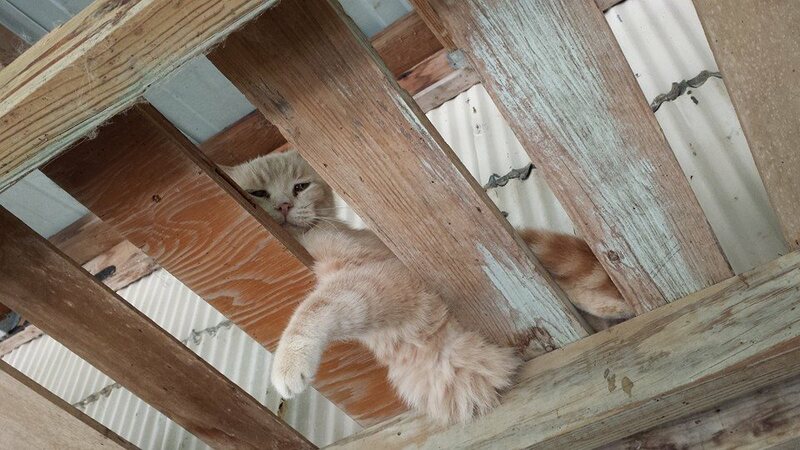 The 2-story ‘over a century old’ farm house was next in line for remodeling to become a real ‘cat house". 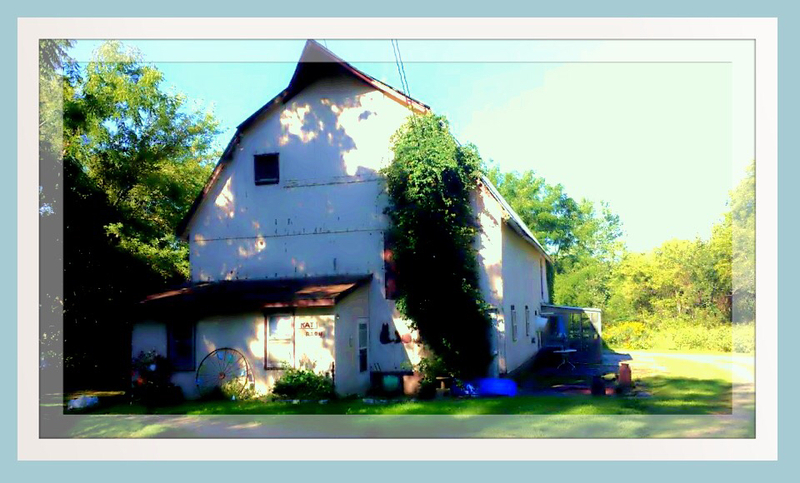 This is the home Carmen Linda grew up in, without the central air and heat. 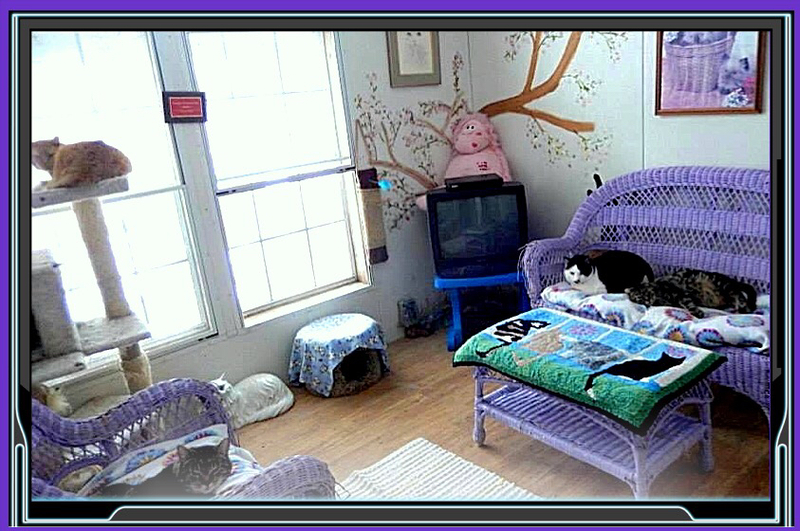 Her once very cold upper story bedroom (no heat in winter) is now a bright cheery area for the younger Feline Leukemia felines in residence. 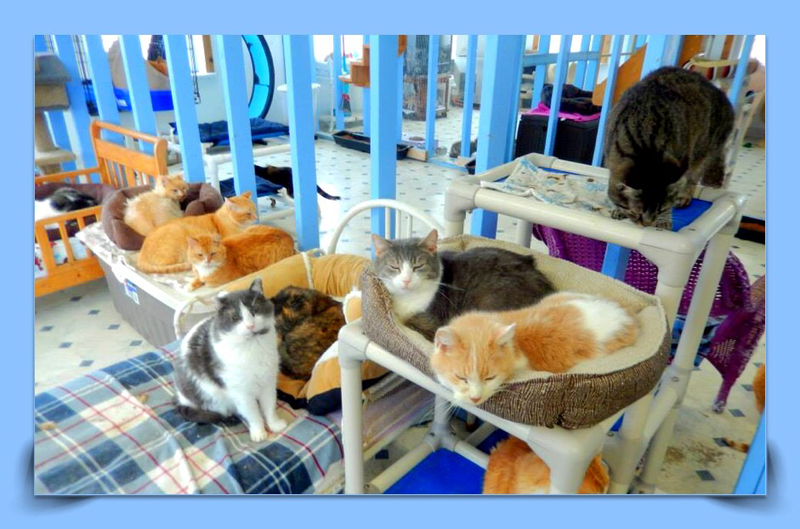 In the summer of 2004, a fourth building, Apollo’s House, was brought in to house FIV felines and offer laundry and overnight accommodations for volunteers. 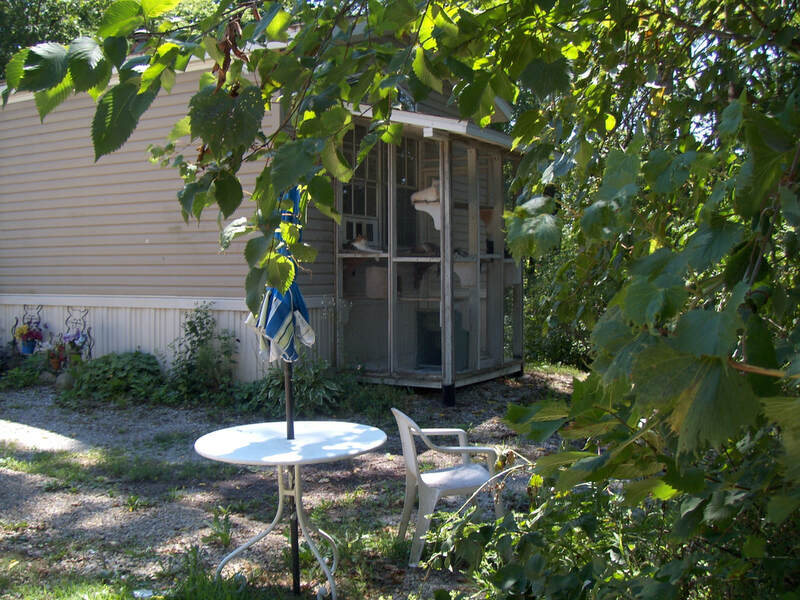 It has a wonderful, large "catio" enjoyed by all residents! Inside Apollo's - colorful and bright! 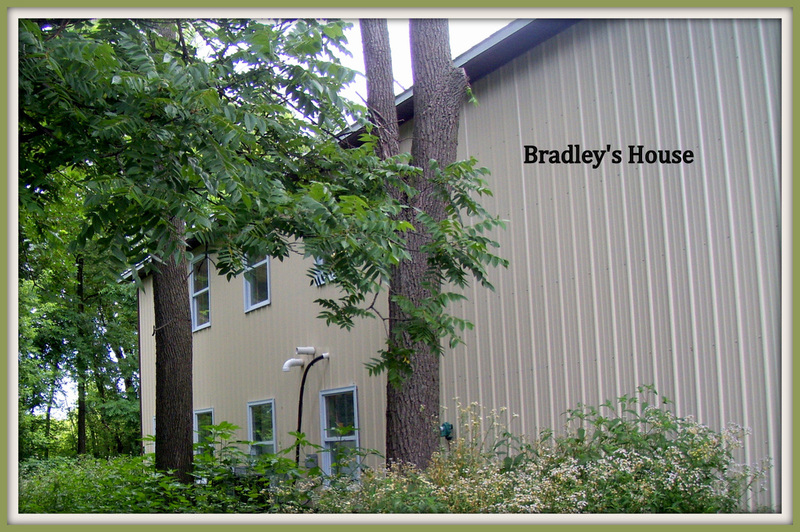 BRADLEY'S HOUSE opened in 2011 with 50 felines finding a new home. 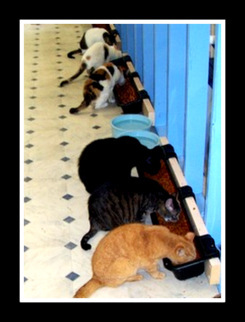 It has a medical area where our spay/neuter clinics are hosted. There is an upper level where monthly birthday parties and board meetings are held. And there is an overnight guest bedroom as well. Bradley's bright and cheery indoor area. 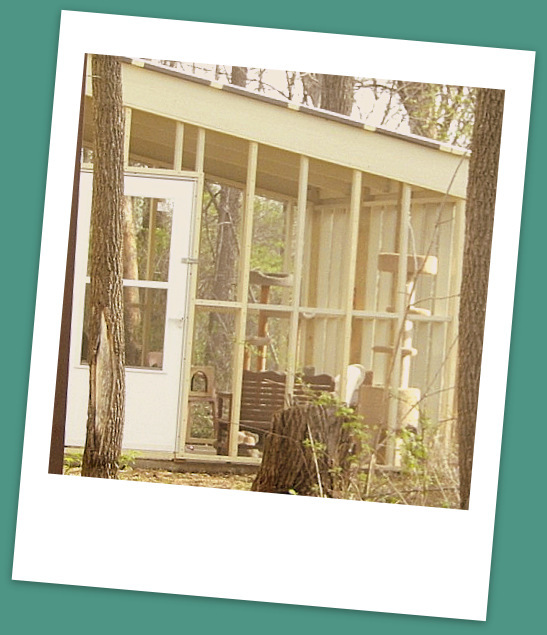 ABOVE: JODIE'S ROOM-Addition built by JACK & ARLENE O'CALLAGHAN in memory of their FIV+ cat Jodie. 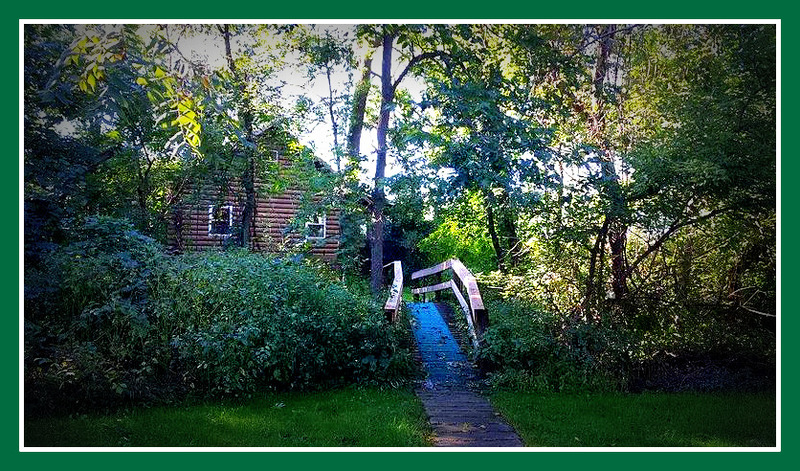 View above of our small creek that runs between the founder's log cabin and the other sanctuary buildings. 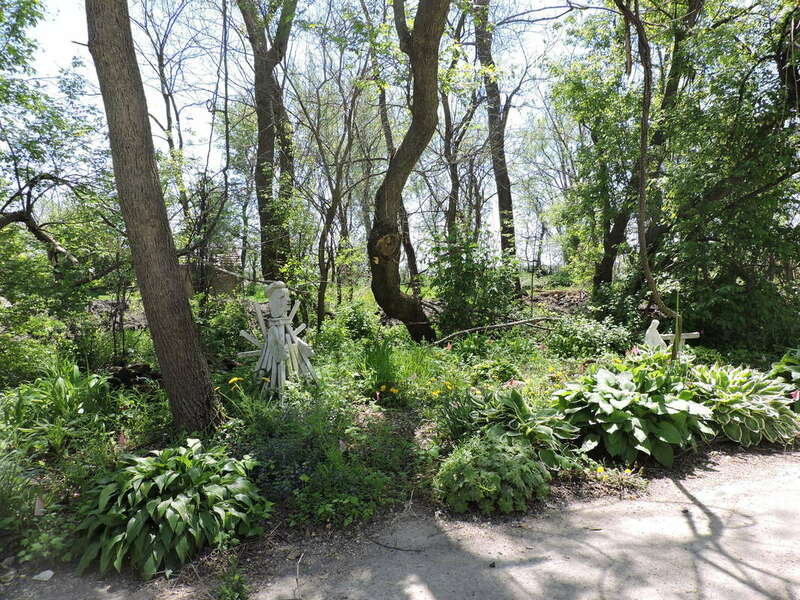 On the right is a photo of our Memorial Garden in the spring. ​On the LEFT, Volunteer Wendy Niemeyer spends her free time planting all the wonderful flowers and bulbs that are landscaped around the buildings. 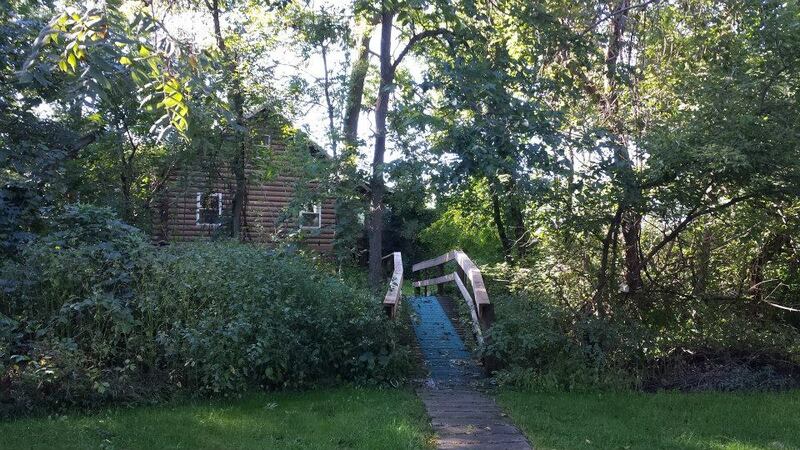 She weeds, mulches, and tends to them during the summer and fall. Wendy has more plans for outdoor decor as well and we appreciate her work. Her goal with all the flowers is to bring more birds and butterflies for the cats outdoor TV entertainment. 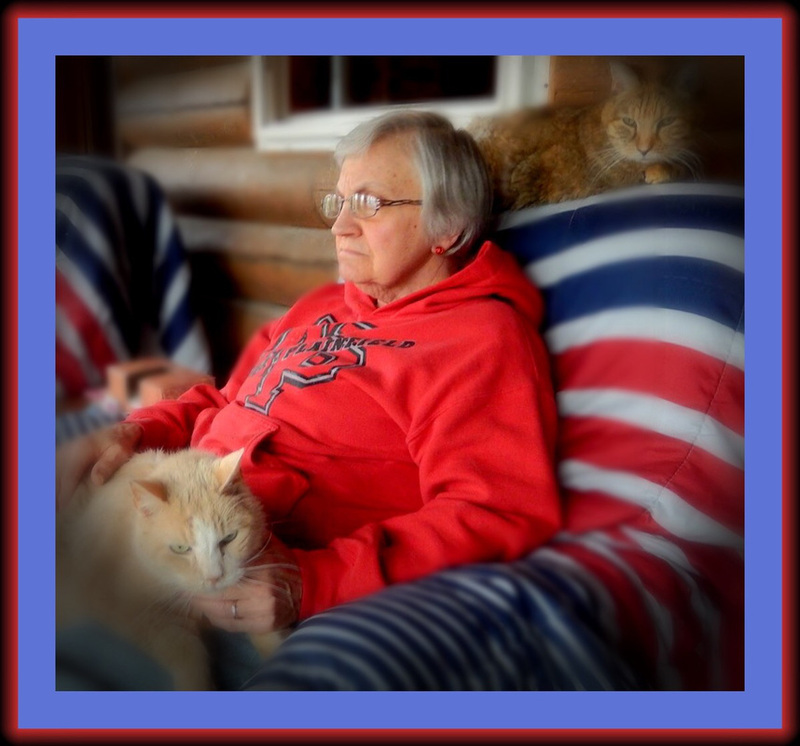 And she also has planted cactus in front of Sandy's Kitty Kottage and they thrive there.